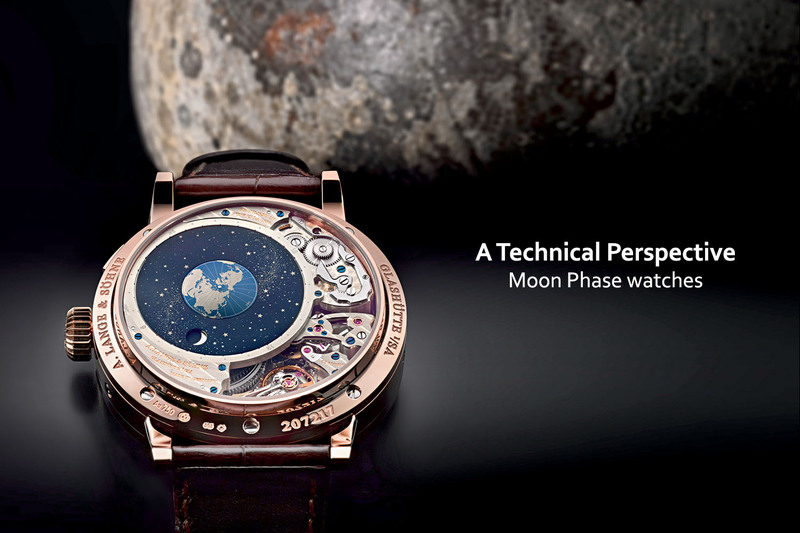 Horology is a child of astronomy. Ever since man wondered about the passage of time, the schedule of our lives has been shaped by the movement of heavenly bodies. Time was measured by the sun, the moon and the stars. Their regulated and measurable cycles lead to the creation of most calendars. Early mechanical clocks aimed at reproducing these cycles and beyond hours, they showed the date, days of the week, months, moon phases, zodiac signs and other astronomical indications. Today, calendars made their way on the wrist, highly practical and reckoning days inside some of the most exquisite watches. Here is a complete guide to all the forms of calendar watches, from the simple date to the extremely complex secular calendars. A calendar is a system of organizing days by periods of time. Its purpose is to record time and to organize agricultural, social, religious or administrative activities. The different measures of time available were originally the day, the month (lunar month) and the year marked by the cycle of seasons. However, the length of a year is extremely hard to measure precisely. A variety of calendars were invented to keep track of time, before the invention of the actual Gregorian calendar and its progressive international acceptance for most purposes. 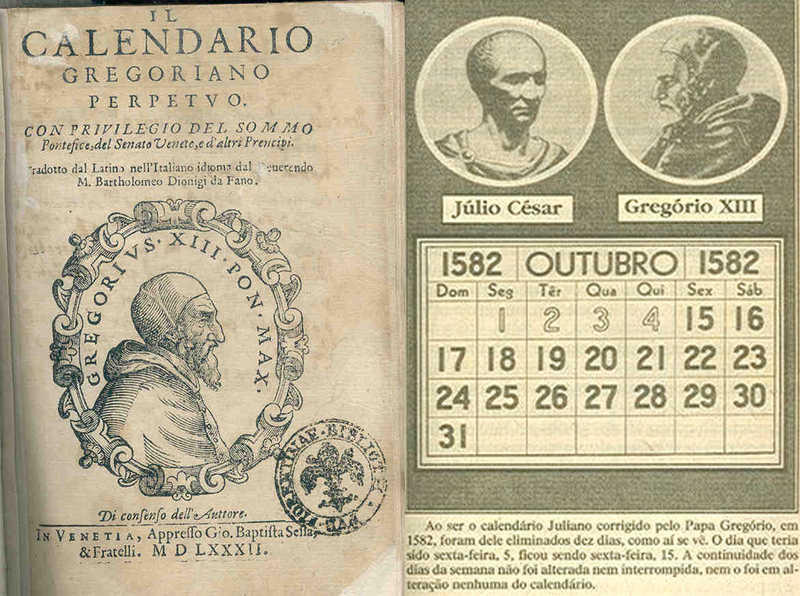 The Gregorian calendar is a reform of the Julian calendar introduced by Julius Caesar in 46 BC. The approximation of 365 days ¼ for the length of the year was then known but the Roman calendar would drift out of alignment with the tropical year (the time the sun takes to return to the same position as seen from earth) because necessary intercalations of extra days to the 365-day year were erratic. Caesar’s reform intended to solve this problem with a system based on three conventional years of 365 days, followed by a leap year comprising 366 days. In 46 BC, the last “year of confusion” was extended to 445 days, to realign the calendar and the Julian calendar, and went into effect in 45 BC. The Julian calendar spread over the borders of the Roman Empire through its use by Christians. Still, the mean tropical year is about 365.24218 solar days. A tiny annual error of some 11 minutes cumulated over centuries which lead Thursday 4 October 1582 to be followed by Friday 15 October 1582, the first day of the Gregorian calendar. 10 days were deleted for most of Roman Catholic Europe. Today’s internationally accepted civil calendar replaced the Julian calendar to reflect more accurately the actual time it takes the earth to circle around the sun, with a new formula to calculate leap years. Leap years happen every four years. If the year can evenly be divided by 100, it won’t be a leap year. If it can also be divided by 400, it will a leap year (2100, 2200, 2300 won’t be leap years while 2400 will be a leap year). 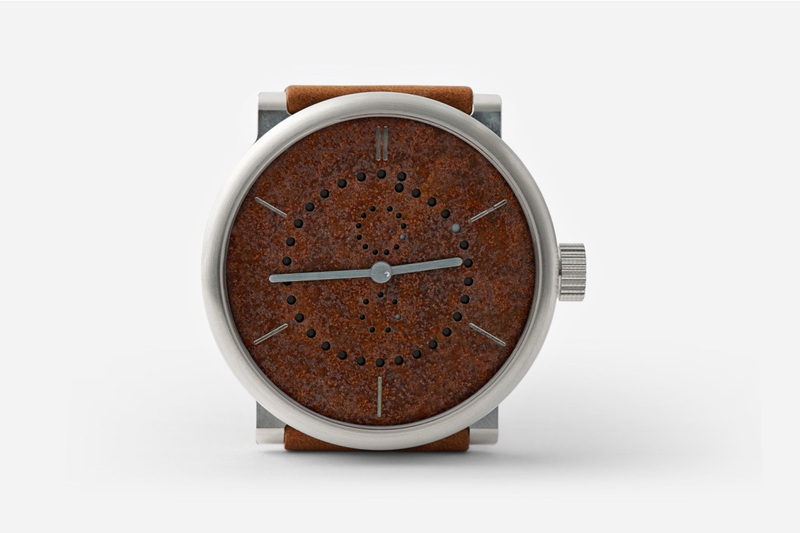 A subject in its own right for the watchmakers. 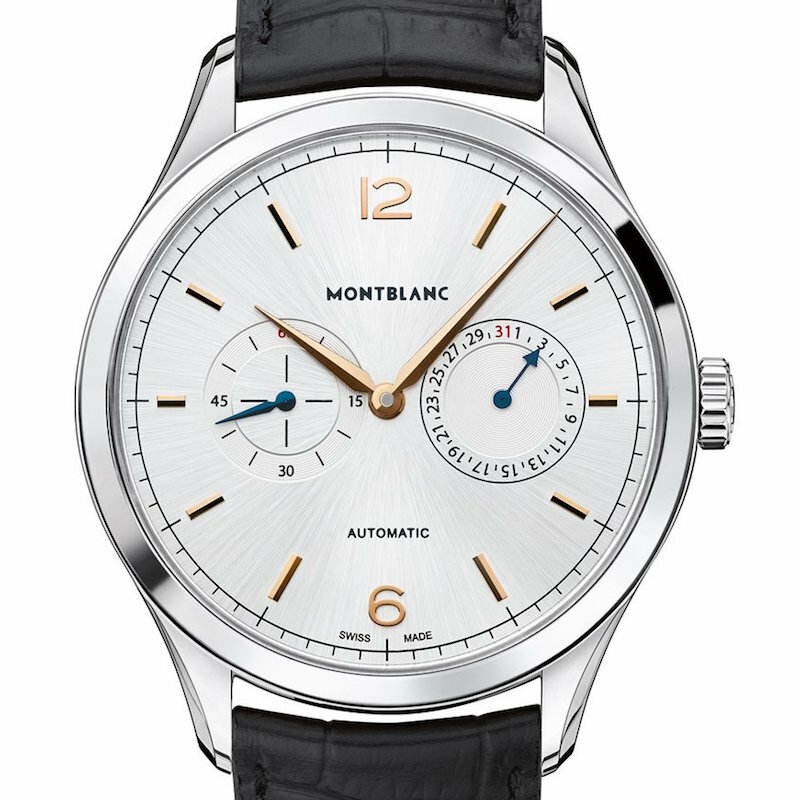 The most elemental and common type of calendar watch consist in the indication of the date. A date wheel increments daily from 1 to 31. Months with less than 31 days are not taken into account and the date needs to be corrected manually, 5 times a year (February, April, June, September and November). The date is usually displayed with a hand or through a window, printed on a disc. The date change can be progressive with a large window showing several digits and a pointer. It can be semi-instantaneous, gradually changing around midnight or instantaneous changing at midnight with a jump, a more elegant but more complex solution requiring to accumulate power before releasing it at once. 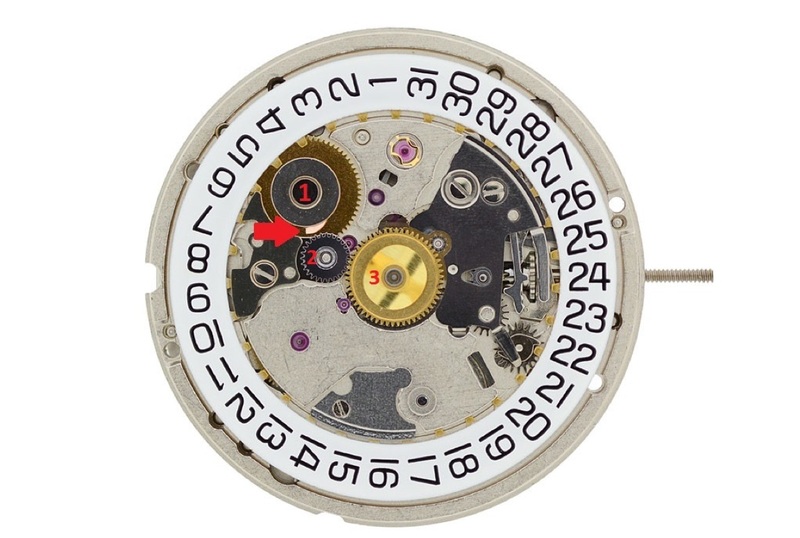 The widely used ETA 2892 movement and its date indication. The date indicator driving wheel (1) rotates once a day and features a finger (red arrow) that will engage with the large date wheel with its printed digits. The motion is transmitted from the hour wheel (3) through an intermediate wheel (2). 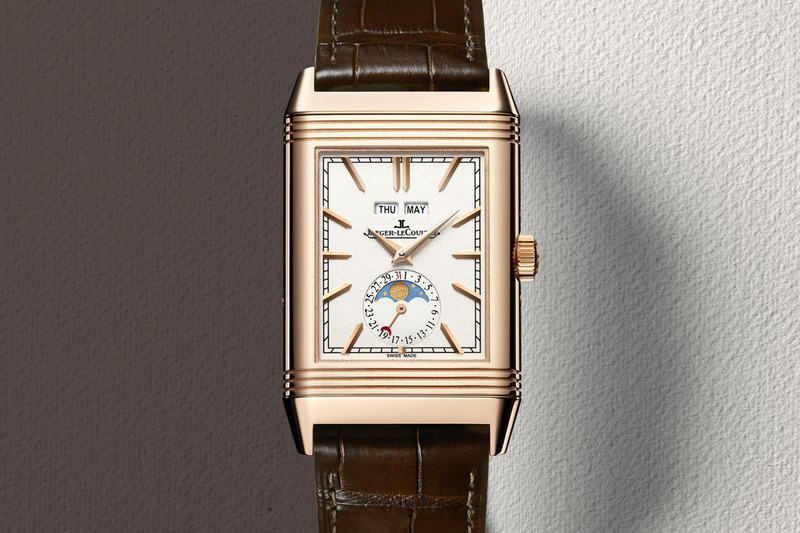 So-called “large date” watches show the date on 2 separate digits to be read easily. On disc shows the tens, the other the units. Different systems have been designed with overlapping or juxtaposed discs. Movements featuring large date indication. 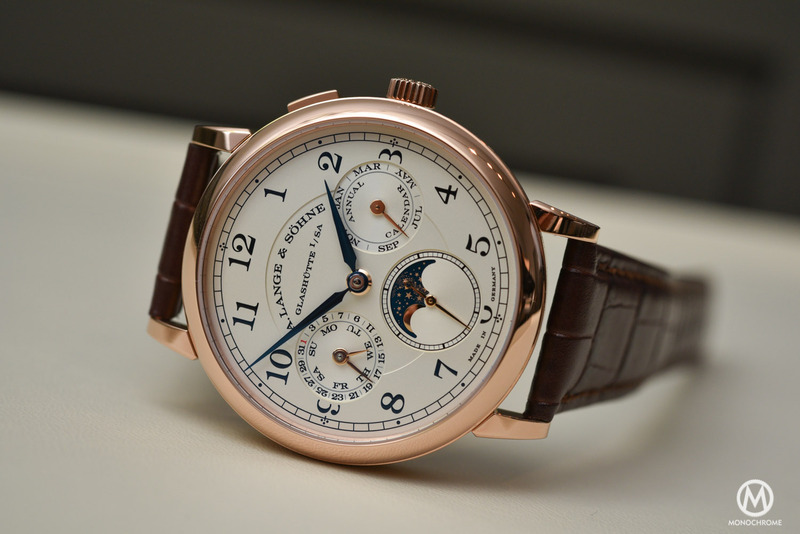 A. Lange & Söhne Grand Lange 1 L095.4 caliber. Roger Dubuis with the RD540 caliber with flying Tourbillon. 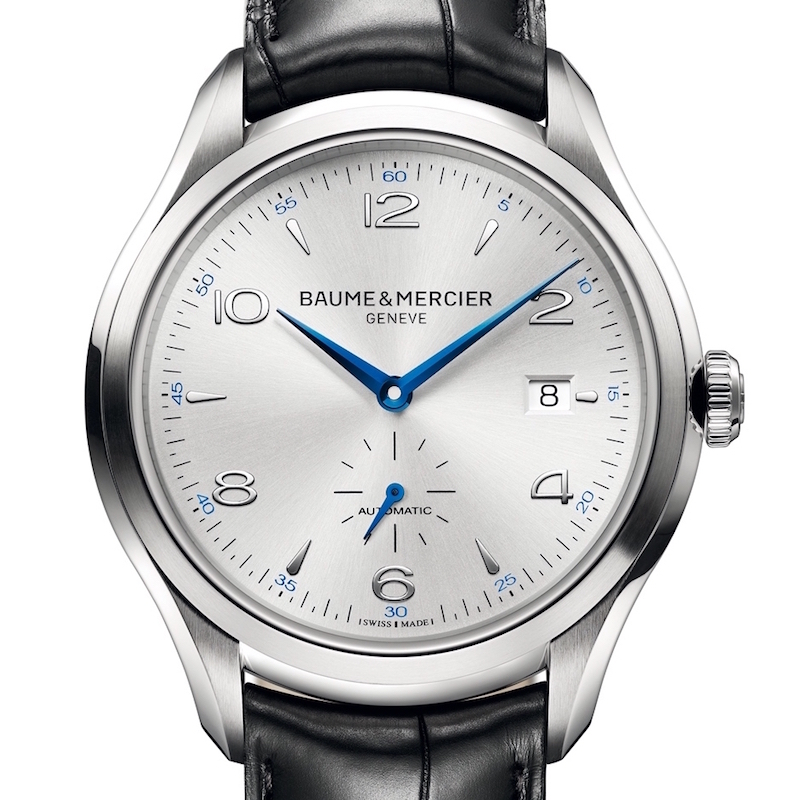 Sometimes called double calendars, day-date watches indicate beyond the date, the day of the week. The principles to indicate the day are similar to these for the date with different arithmetic, woth a wheel that turns in 7 days instead of 31. 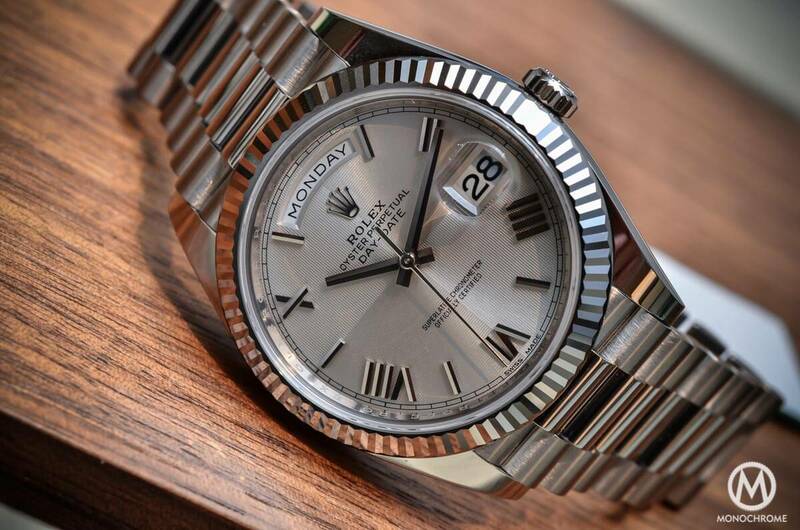 A modern version of the Oyster Perpetual Day-Date, an emblematic Rolex initially introduced in the 1950s. The triple calendar is a further elaboration of the day-date, also indicating the month of the year. The addition of the moon-phases display makes it a complete (or full) calendar. Most calendar watches complete 31 days cycles and require a regular adjustment (5 times a year) to ensure that the correct date is displayed. An annual calendar automatically adjust the date displayed, based on the different length of the month and requires to be corrected manually once a year (in the worst case depending on its mechanism). Such calendar watches take into account the months with 30 or 31 days. The only thing that is not automatically corrected is the month of February, with its 28 days. The Ochs und Junior annual calendar with its unique, minimalist analog display, the brainchild of the inventive Ludwig Oeschlin. A dot travelling under the larger circle indicated the date. The smaller circles feature 7 and 12 apertures to display the day of the week and month. 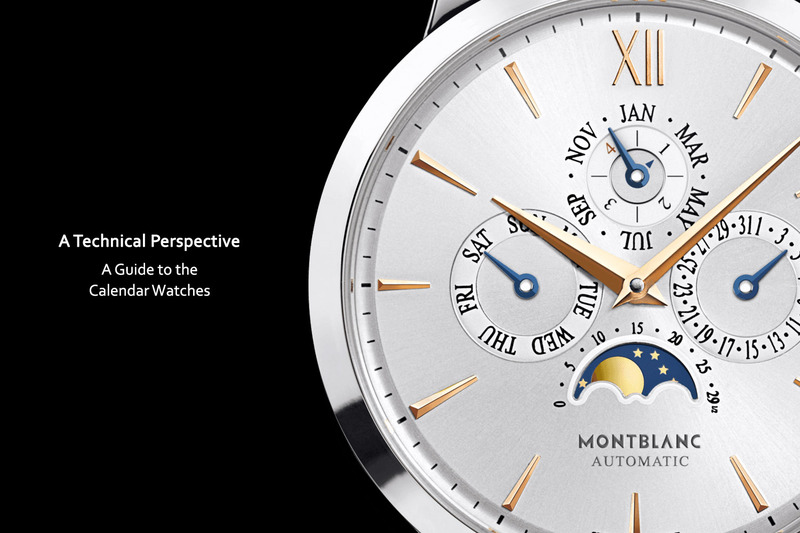 A further sophistication, a perpetual calendar takes into account the different lengths of the months on a 4 years cycle. 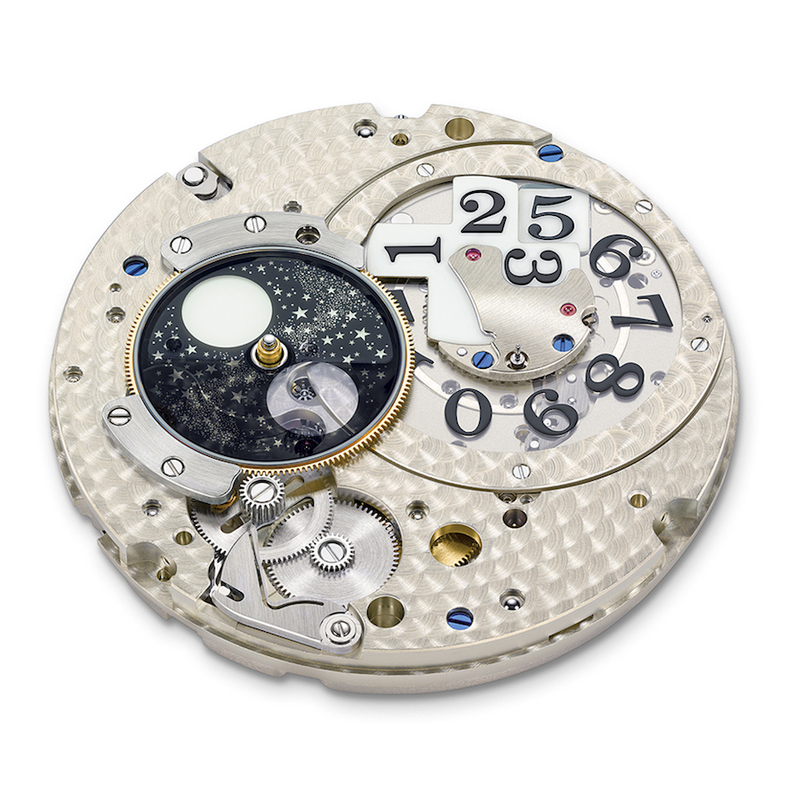 Its intricate mechanism has a mechanical “memory” over 1461 days. Several systems have been designed but in general a wheel rotating once every 4 years drives the calendar indications in relation with the month’s precise length. 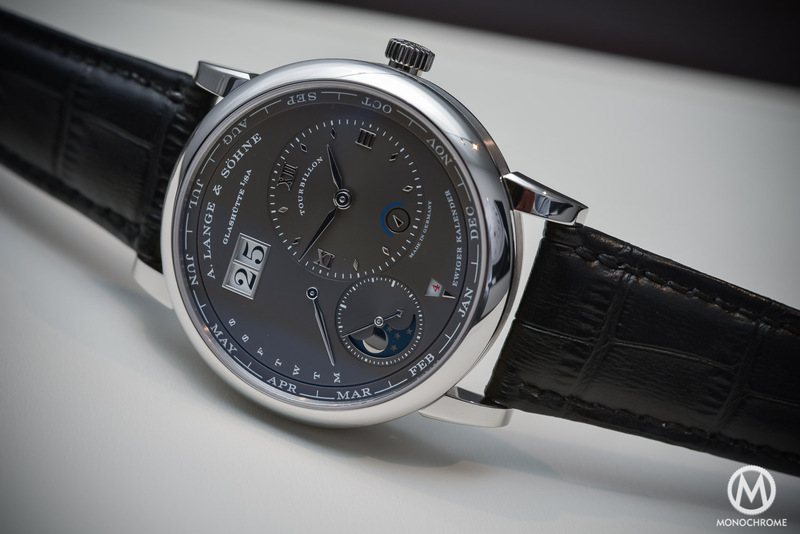 For even more practicality, perpetual calendars can come with automatic winding (eventually with a winding box when they are not worn), as they need to keep running to be relevant. 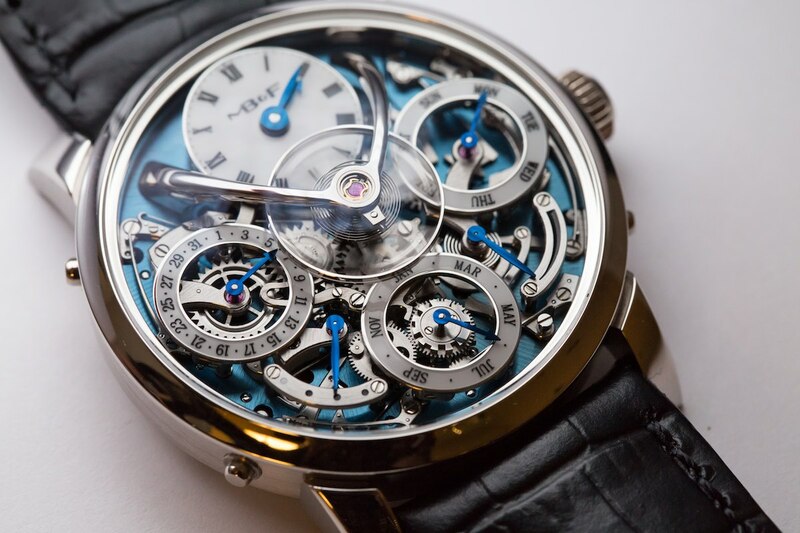 These complex mechanisms are regarded as a demonstration of horological mastery and are a must-have in the collections of the great watch manufacturers. Brands display the information on the dial in different ways, from the typical dial lay-outs (in particular using Dubois Depraz calendar modules) to more creative options to differentiate, to enhance readability or to avoid over-cluttered looks. 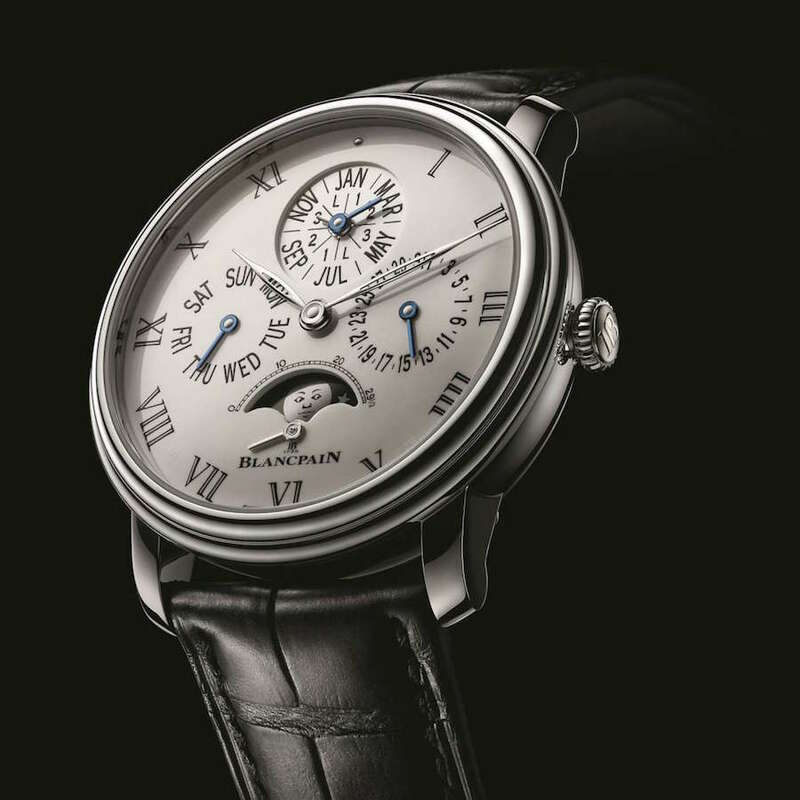 The traditional elegance of the Blancpain Villeret Perpetual calendar and the original calendar indication of the Cartier Rotonde Astrocalendaire with Tourbillon. 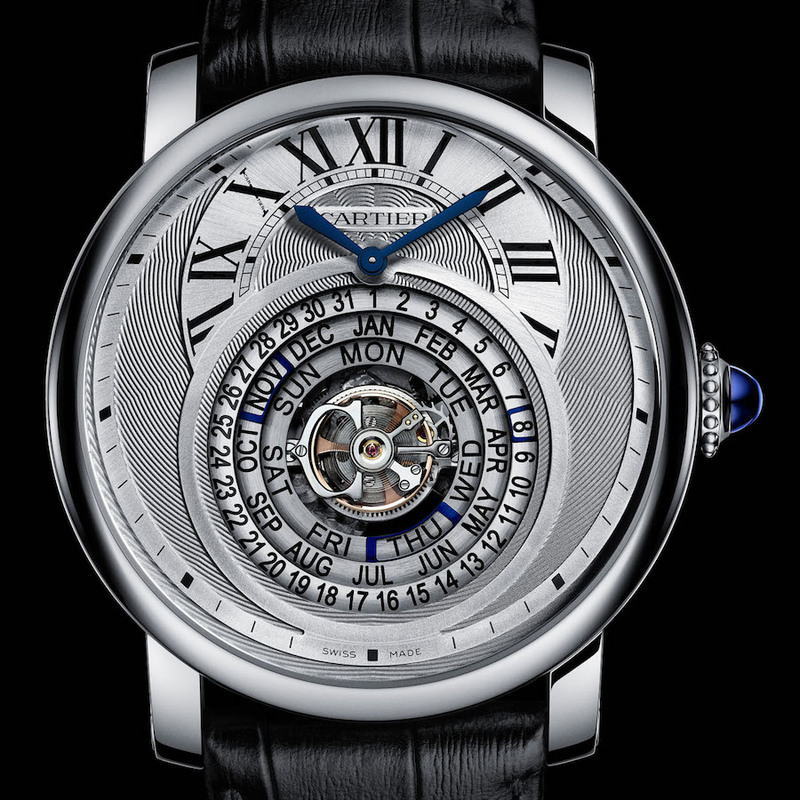 The Cartier Rotonde features an “amphitheater” display, departing from traditional calendars. 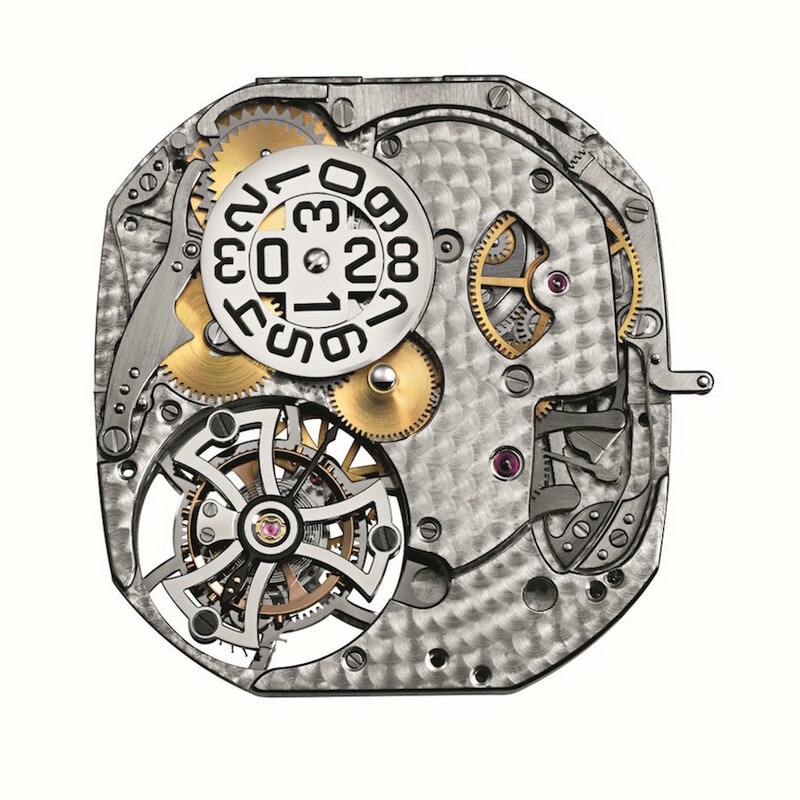 On the mechanical side, its innovative movement allows to correct the calendar by turning the crown in both direction, rather than with pushers. 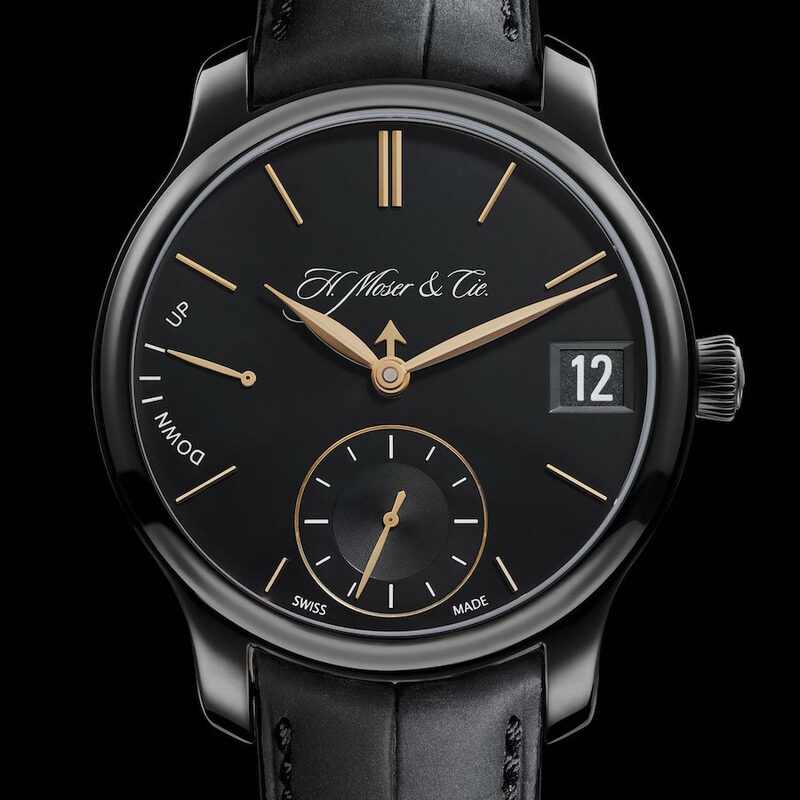 The understated and smart H.Moser Endeavour Perpetual Calendar indicates the date through a window at 3 o’clock and months with a short arrow in the center. 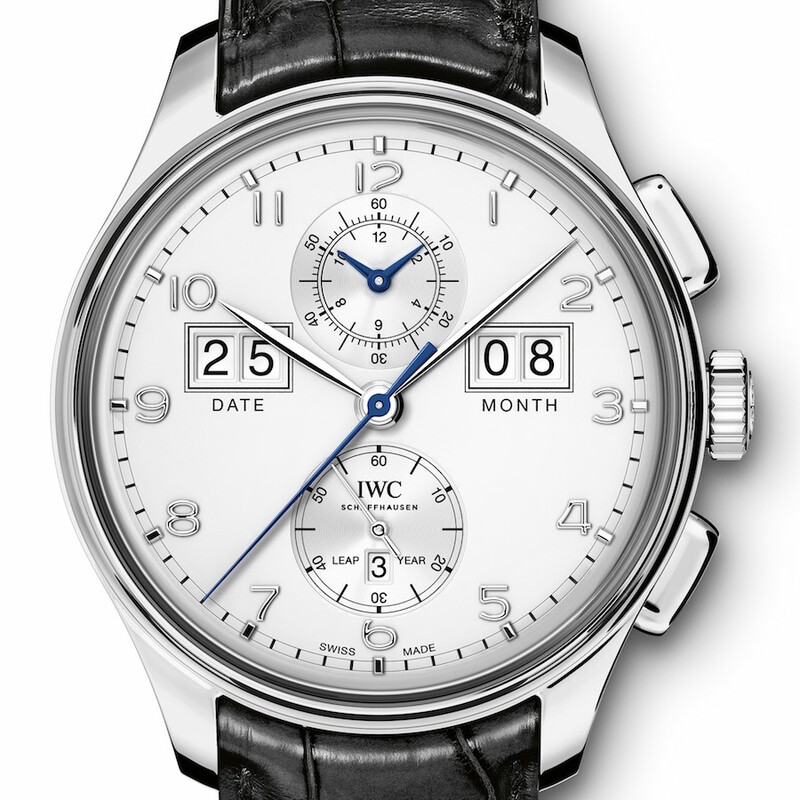 The IWC Portuguese Perpetual Calendar with its easy-read digital date-month indication. 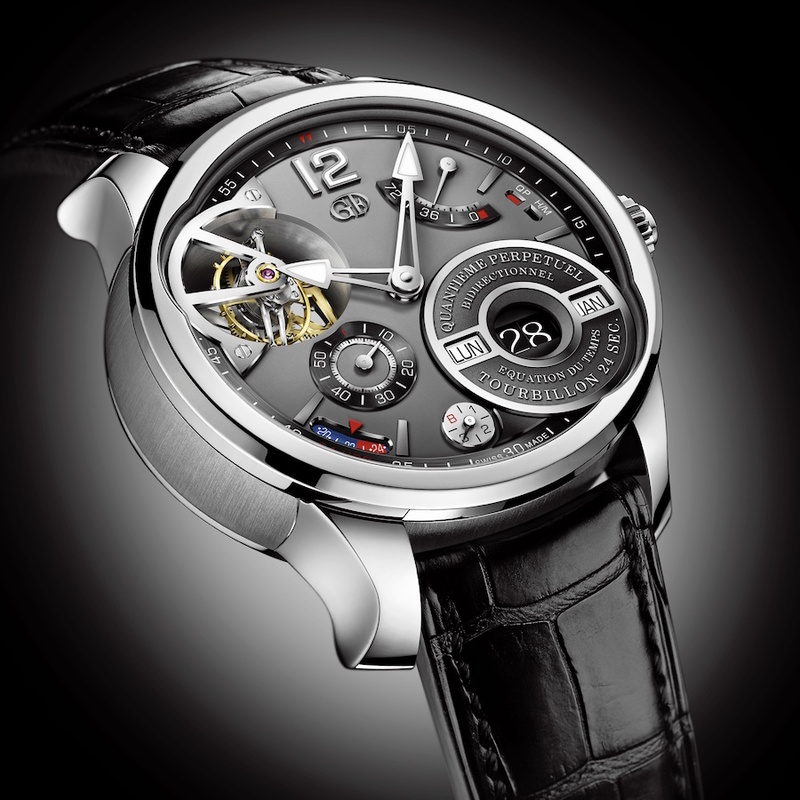 The Greubel Forsey QP à Equation features a 24-second tourbillon and a perpetual calendar (Quantième Perpétuel in French) in line. 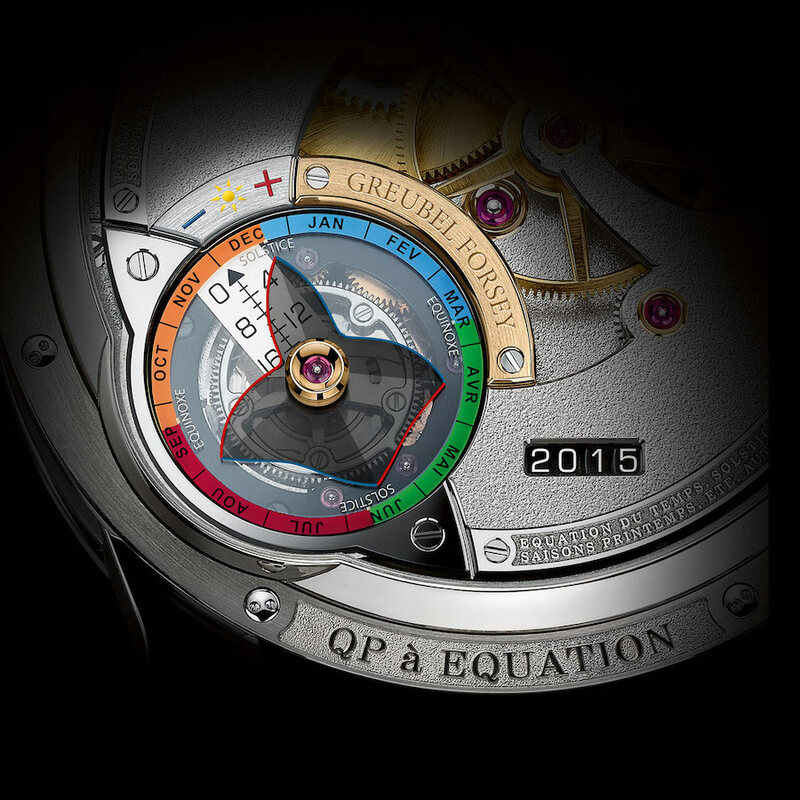 At the back of this masterpiece, the year indication, a splendid and original equation of time indication and the breathtaking movement finish of the brand. 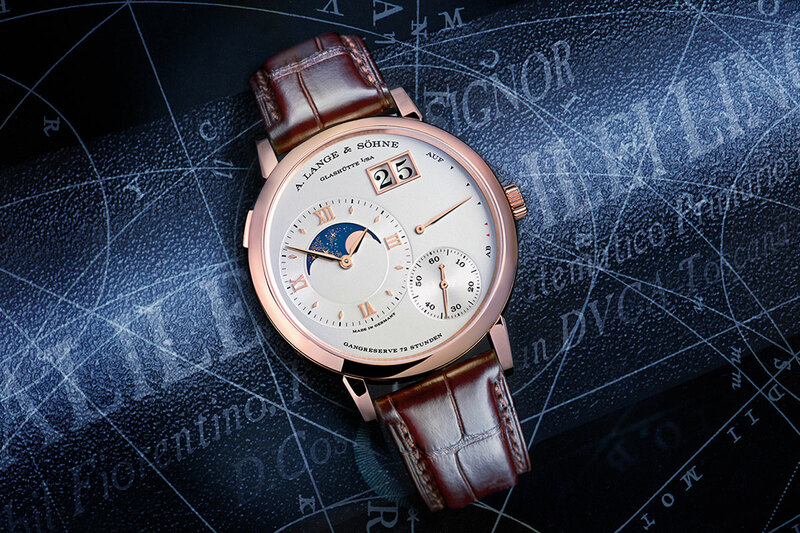 Perpetual calendars are in fact not perfectly perpetual. Their mechanism reproducing 4-year cycles is based on the Julian calendar rather than the Gregorian calendar. They are accurate for 100 years. They do not “delete” leap years 3 times in 4 centuries and hence need to be adjusted manually, which will not happen until 2100. For those who want to save the trouble of having to set their watch date at the end of February 2100, watchmakers have designed mechanisms labelled “secular perpetual calendar”. 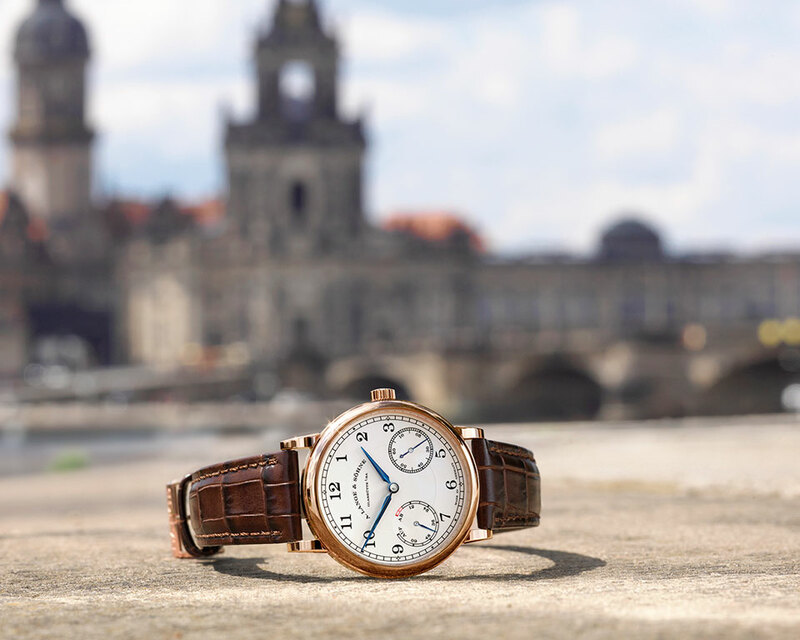 Among the available options, the Patek Philippe calibre 89 (that has broken records at auctions), the Perpetuel Secular Calendar by Svend Andersen or the Frank Muller Mega Aeternitas. 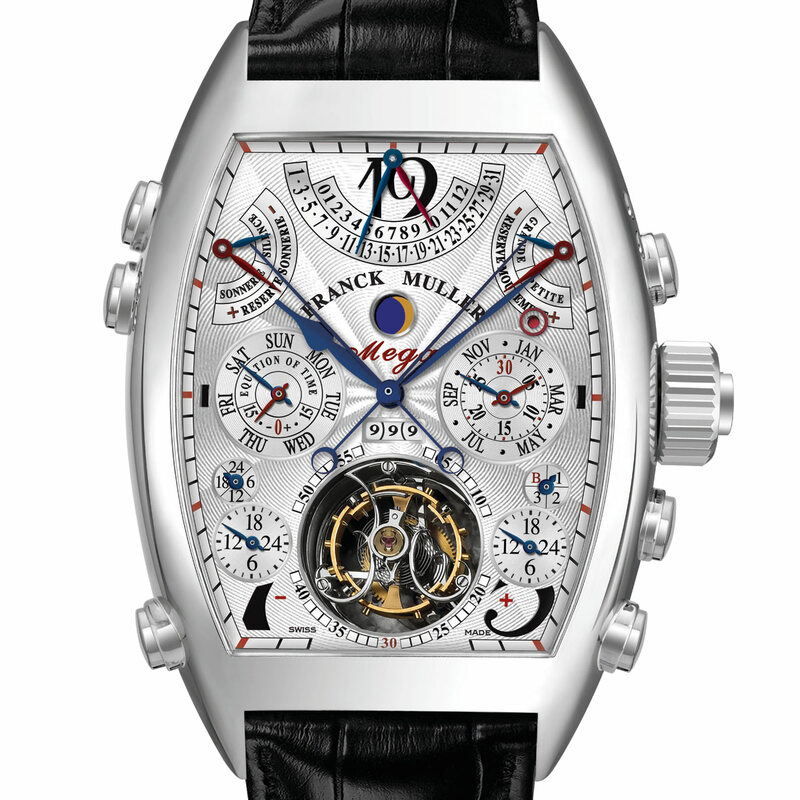 The Frank Muller Aeternitas Mega 4 features 36 different complications geared by 1483 parts. Its calendar mechanism is calibrated to reproduce leap years on 4 years, no leap years on 100 years, leap years on 400 years cycles. It features the indication of the year (1’000 year calendar just displayed just below the center hands).